Including a number of islands located within the group referred to as the Leeward islands in the Lesser Antilles, the Virgin Islands actually includes islands which are part of the United States and the country of Britain. Choosing which island is right for you is more than just deciding whether to get your passport or not, it is about what kind of vacation experience you are looking for. Diverse in nature and activities, the Virgin Islands can offer many different experience for any vacationer. Comparing the U.S. Virgin Islands to the British Virgin Islands is like comparing apples to oranges. The U.S. islands tend to be more commercial and include the islands of St Croix, St. John and St. Thomas. The British Virgin Islands include Tortola, Virgin Gorda, Jost van dyke, Anegada and other small islands. Though is a quite broad generalization as far as the commercial aspect, you can generally expect to find the resort type/golf and spa type vacation including shopping, dining and a more traditional American experience. The BVI, despite the fact that they require a passport if you are a U.S. traveler, you may find a less touristy experience. Each unique and special however, you as a traveler, owe it to yourself to learn more about what each island has to offer before choosing which one or ones are right for you on your vacation. Drivers drive on the left hand side of the street and can drive for 90 days with valid dl from the US. Seatbelts are required. You may not talk on a cell phone without an earpiece while driving. Bathing suits are only worn at the beach or pool. A Passport is required for all non British Virgin Islanders. Drivers drive on the left hand side of the street. Internet may be difficult to find on smaller islands throughout. Weather Related Note: Though sunshine is the dominant weather pattern throughout the islands, the hurricane season officially lasts from June to November. Pay attention to weather patterns when traveling during hurricane season. 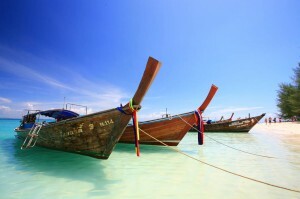 Tradewinds Travel Club reviews areas that offer great travel opportunities. Whether traveling in the U.S. or abroad, we invite you to look more at these and other topics with us. Learn travel and explore the world with Tradewinds Travel Club.